All of us at KIA of Lincoln are thrilled with Kia’s blend of performance, practicality, and comfort, and we’re happy to report that we’re not the only ones. In the recently released 2019 J.D. 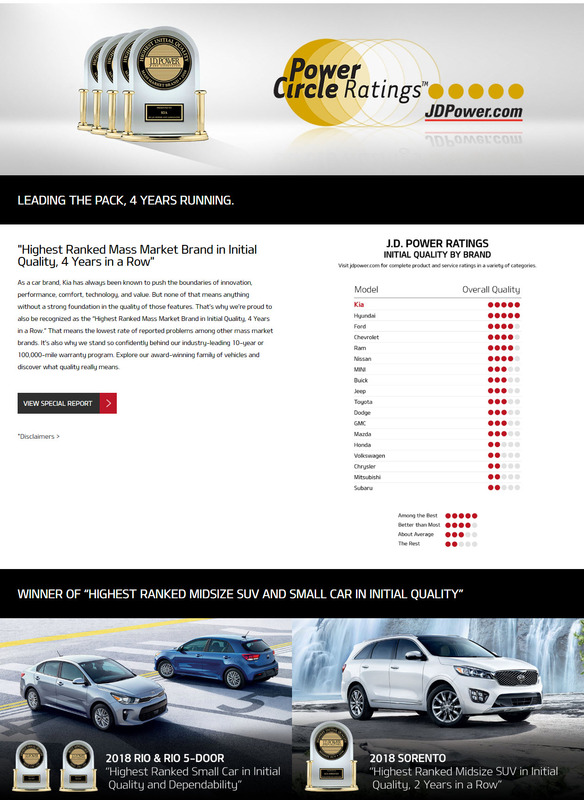 Power Initial Quality, Kia occupied the top ranking among non-premium brands — something that shouldn’t come as a surprise to drivers around Lincoln and Omaha who have driven one of these exceptional vehicles. Drivers in Denton, Memphis, Ceresco, Davey, Malcolm and Chalco can experience the impressive quality of Kia vehicles for themselves when they visit KIA of Lincoln. Our dealership is located at 1145 North 48th, Lincoln, NE 68504, and we hope to see you come by for a test drive in a 2015 or 2016 KIA Optima, Sorrento, Forte or Soul soon!